Why do we have Cannabis? 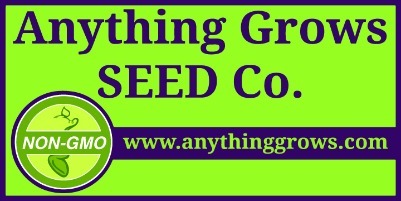 With the name Anything Grows for many years we were asked does "Anything" grow? Wink wink nudge nudge... Well now it does! For those with medical permits & others as souvenirs, we will carry a small selection of Cannabis Seeds. As with our other seeds we do not ship outside of Canada. You must be over 19 to purchase Cannabis Seed. All growing notes come from the seed companies. WE WERE JUST INFORMED BY PAY PAL THAT THEY WILL NOT LET US USE THIER PAY SYSTEM FOR THE SALE OF CANNABIS SEED. PLEASE CONTACT US DIRECTLY FOR INFORMATION. The varieties listed are only available for sale by contacting us directly. ​Acapulco Gold - FEMINIZED - 5 seeds per pack Genetics: Central American Sativa/Indica: 70% Sativa, 30% Indica Yield: Outdoor 1500g - Indoor 500g THC/CBD: 21% THC, .07% CBD Flowering Period/Finishing: 60-70 days/mid October Barneys Farm are continually pushing the limits of marijuana genetics, improving their selection and breeding processes to create something that is truly breath-taking. Acapulco Gold is the next generation of marijuana. Like the origina..
Bruce Banner FAST Fem - FEMINIZED - 3 seeds per pack Sativa/Indica: Mostly Sativa (60% Sativa) Medical uses: ADD/ADHD, Anxiety, Depression, Nausea, Stress THC: up to 29% THC Flowering Period/Finishing: 8-9 weeks. October Bruce Banner comes from the parenting genetics of OG Kush and Strawberry Diesel; making it a powerhouse in terms of overall potency, as well as delivering a pungent diesel aroma with berry undertones. Being a 60/40 Sativa dominant hybrid many users r..
DO-SI-DOS - FEMINIZED - 3 seeds per pack Sativa/Indica: Mostly Indica Yield: High THC: 26-30% THC Flowering Period/Finishing: 8-9 weeks. Late September-Mid October Do-si-dos is a potent cross of Girl Scout Cookies and Face Off OG Bx3. The buds produced from Do-si-dos display typical indica traits; pale green in colour, with light purple leaves, bright pistils, and are remarkably dense. 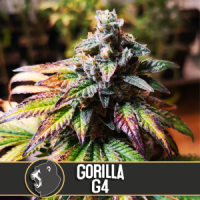 The aroma and taste of Do-si-dos has been described as earthy, sweet, pungent, fru..
Glueberry OG - FEMINIZED - 3 seeds per pack Sativa/Indica: Indica-Sativa Yield: High THC: 24% THC Flowering Period/Finishing: 8 weeks. Late September Strain Genetics: OG Kush x Gorilla Glue x Blueberry Adding another well balanced hybrid to the ranks we have Glueberry OG! Glueberry OG is an effervescent cross of Asian and American genetics: OG kush, Gorilla Glue, and Blueberry. With these parenting genetics growers can expect very large yields of compact, resinous buds regar..
ObiWan KUSH - FEMINIZED - 3 seeds per pack Sativa/Indica:blend Genetics:Skywalker x OG Kush Yield: 500-600 g / m2 THC:20-30% Flowering Period/Finishing: 9 weeks. Now proud to present, a strain that has been growing demand from our customers global at exceedingly fast rate, from a galaxy far far away…Obi-Wan Kush! Coming from the parenting genetics of both Skywalker and OG Kush, Obi-Wan Kush is most definitely a force to be re..
Super Lemon Haze - FEMINIZED - 3 seeds per pack Sativa/Indica: Mostly Sativa Yield: 450-500g/m2 THC: 22% THC Flowering Period/Finishing: 70 days. Mid October Super Lemon Haze Feminized is a mostly sativa hybrid of Lemon Skunk and Super Silver Haze. Super Lemon Haze tends to be a plant that grows to be quite tall, growing well both indoors and outdoors, and is ideal for tropical and equatorial climates. Super Lemon Haze is a kief-caked multi-coloured wonder. Just as ..
TrainWreck - FEMINIZED - 3 seeds per pack Sativa/Indica: Mostly Sativa THC:24% Flowering Period/Finishing: 63 Days. October Canuk Seeds; Trainwreck is a Sativa dominant strain with Indica growth patterns, thanks to her Afghani heritage. She will produce semidense buds with a very strong fruity smell and long lasting sweet taste. Said to have originated in Northern California Trainwreck is an example of ‘Oldschool’ genetics ..
Violator KUSH - FEMINIZED - 3 seeds per pack Sativa/Indica:blend Genetics:Malana Charas x Hindu Kush Yield: 500-600 g / m2 THC:22% Flowering Period/Finishing: 9 weeks. ..
White Banner - FEMINIZED - 3 seeds per pack Sativa/Indica: Mostly Indica Yield: High THC: 20-26% THC Flowering Period/Finishing: 8-9 weeks. Late September-mid October Strain Genetics: Bruce Banner x White Russian We crossed our beloved Bruce Banner with White Russian to yield this indica dominant beauty. White Banner emanates aromas similar to the parents including berry, diesel, citrus, and spice. 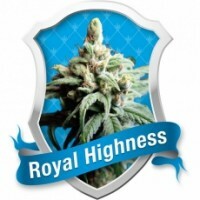 The effect being indica dominant provides an overall relaxing feeling,..